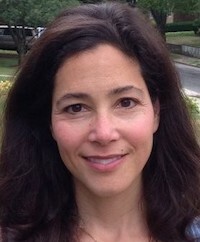 Both antenatal and postpartum depression affect the pregnant parent as well as the child, wrote Marlene P. Freeman, MD, Department of Psychiatry, Massachusetts General Hospital, Boston, in an editorial response to the USPSTF statement. She noted that depression during pregnancy can cause preterm birth, low birth weight, and longer-term temperament and behavioral problems. Postpartum depression can affect parent-child bonding, breastfeeding, and the infant’s development. “Therefore, the targeted prevention of perinatal depression is important, and if done successfully will improve a broad range of outcomes for women and their children,” said Freeman. The USPSTF evidence review included 50 studies (n = 22,385) of counseling and other interventions for perinatal depression. The Task Force found that counseling was associated with a 39% reduction in the likelihood of perinatal depression (pooled risk ratio [RR], 0.61 [95% CI, 0.47-0.78]; I2 = 39.0%). With an assumption of 19% baseline risk of perinatal depression, the Task Force found a number needed to treat of 13.5 expectant or recent parents (95% CI, 9.9 to 23.9). USPSTF recognized “convincing evidence” to support counseling interventions, such as cognitive behavioral therapy and interpersonal therapy, for preventing perinatal depression. The evidence addressing other interventions, including such as physical activity, education, pharmacotherapy, dietary supplements, and health system interventions, was found to be inadequate for assessing their harms or benefits. The Task Force highlighted the need for more research in this area—both to better identify persons at risk of developing perinatal depression, and to gather more data to support or refute other possible interventions. While there are many challenges to implementing the USPSTF recommendation, Freeman finds reason for optimism. “If the health care delivery system can make the necessary investment to implement these recommendations, they may return great dividends in the form of enhanced wellbeing of mothers and their offspring,” she concluded. The recommendation statement, “USPSTF Recommendation Statement on Interventions to Prevent Depression During Pregnancy, After Childbirth,” and editorial, “Perinatal Depression: Recommendations for Prevention and the Challenges of Implementation,” were published in JAMA.